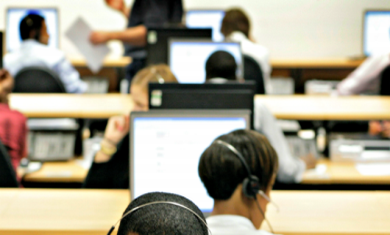 According to a report in the Indian National Daily, Hindusthan Times, the police in India have identified a string of call centers engaged in making illegal calls to US citizens. The shadowy businesses include illegally exporting medication, bogus cheque deposits and swindling customers by offering non-existent loans and extorting money from bank loan defaulters. The Hindusthan Times report identifies 5 types of scams which are now active. PHARMA SCAM: Both scheduled and off-the-counter drugs are procured illegally without prescriptions in India and sold abroad. Sildenafil (like Viagra) and Oxycodone drugs are in high demand in the United States as are various psychotropic drugs. These drugs are available strictly on prescription and their production, supply and distribution is closely monitored by enforcement agencies to check possible abuse. However, as 90% substance abusers in the US are dependent on prescribed counter drugs, there is a huge gap between demand and availability. The scammers procure the sales data of drug stores in the US from the internet at a price. The sale data contains information such as the medical history of the consumers and his contact details. DEBT COLLECTION (THIRD BUCKET) SCAM: Extorting money from bank loan defaulters. The scammers collect the list of loan defaulters of various banks in the US. Posing as recovery officials, they start calling up the loan defaulters with an American accent so as not to raise any suspicion. Through a prepared script, the callers would coerce the ‘target’ in making payment to a particular account. The money is then transferred to banks in India where it is collected. PAY DAY SCAM: The scammers fleece salaried employees with promises of loan sanction. The scammers make random calls to people on Pay Day, offering them a loan, but with a rider. After the initial offer, they would tell the ‘target’ that his credit ratings were too low to make him eligible for a loan. To increase the credit ratings, the prospective applicant would be advised to deposit the first installment (EMI) of the loan amount. A confirmatory mail would be sent to him after the installment was actually deposited. Afterwards, the mail account would be erased and the money would be encashed. CHEQUE DEPOSIT SCAM: Bogus cheque deposit. Suddenly a cheque is added to the account of the victim. The scammers would then call up the victim, informing about the mistake. They would then ask him to deposit the same (or lesser) amount in an account (provided by the scammers). Once the victim makes the online deposit, the scammers would quickly cancel the cheque by informing the issuing bank. The scammers would randomly call US citizens, informing them about a virus attack on their personal computer. The gullible user, who falls into the trap, would agree to the offer made by the scammers to debug the computer using TeamViewer software (used for remote access and support.) Through the software scammers would remote control the target computer and damage it while they pretend to debug the computer. The unsuspecting customer would be asked to pay anything between $50- $199 for the bogus "service".